It would be far easier and would require less energy to build new, efficient cities than to attempt to update and solve the problems of the old ones. We believe that the present state and aims of architecture need to be redefined to fit the evolving needs of individuals in a Resource Based Economy. We consider the architecture of a circular city to be most appropriate. 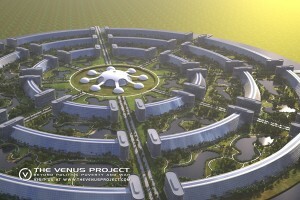 The Venus Project proposes a circular city plan that would utilize the most sophisticated available resources and construction techniques. Its geometrically elegant and efficient circular arrangement will be surrounded by parks and lovely gardens, which will be incorporated into the city design. All cities will be designed to operate with the minimum expenditure of energy using the cleanest technologies available, which will be in harmony with nature to obtain the highest possible standard of living for everyone. The city is divided into radial sectors and circular belts. The circular scheme offers maximum efficiency, bringing each radial sector closer to the central dome. People traveling within the city could easily return to the same place from where they started without having to take the same route back like in most linear cities. Only one part of the city is designed and replicated eight times to form the entire city using far fewer resources than conventional methods. 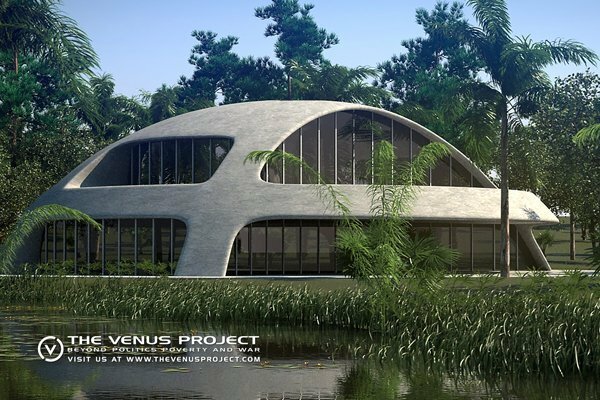 The central dome or theme center will house the core of the cybernated system, educational facilities, computerized communications, networking systems, health and child care facilities. The eight buildings surrounding the central dome contain the access centers. The three rings of buildings adjacent to the access centers house the research facilities. 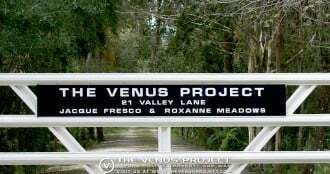 The next band provides the community with centers for cultural activities such as the arts, theater, exhibitions, concerts, exercise facilities and various forms of entertainment. There are also dining and other amenities. 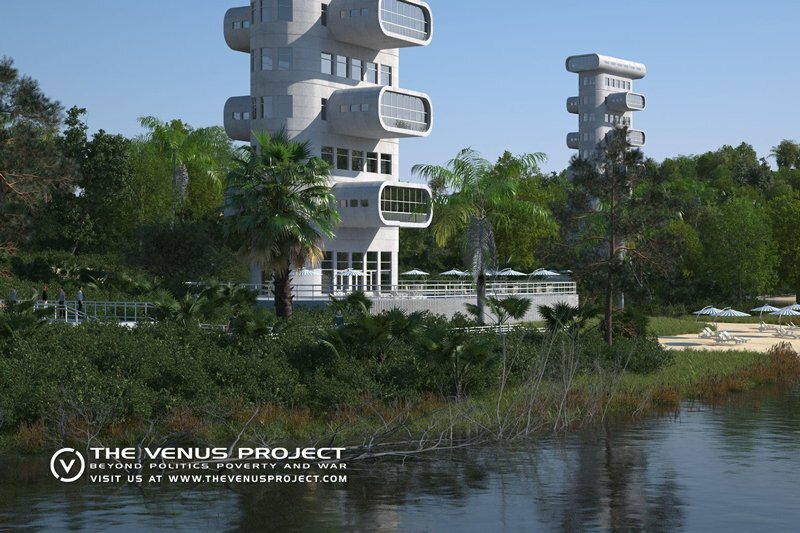 The eight residential districts have a variety of free form unique architecture to fulfill the various needs of the occupant. Each home is immersed in lovely gardens isolating one from another with lush landscaping. The skyscrapers will be a convenient place to live housing restaurants, educational facilities, entertainment, hobby areas, along with apartments. Next are the indoor hydroponic, aeroponic and aquaponic facilities and outdoor agricultural belts which will be used to grow a wide variety of organic plants without the use of pesticides. A circular waterway for irrigation and filtration surrounds the agricultural belt. The outermost perimeter is utilized for recreational activities such as biking, golfing, hiking and riding. Areas are set aside for renewable clean sources of energy such as wind generators, solar, heat concentrating systems, geothermal, photovoltaic and others. The architecture and individual dwellings of circular cities will evolve on an entirely different basis from today’s houses. Their structural elements will be flexible and coherently arranged to best serve individual preference. The prefabricated, modular homes, embodying a high degree of flexibility, could be built anyplace one might imagine, amidst forests, atop mountains, or on remote islands. A house in the residential belt of one of the circular cities. All of these dwellings can be designed as self-contained residences with their own thermal generators and heat concentrators. Photovoltaic arrays would be built into the skin of the building and into the windows themselves. Thermopanes would be used to tint out the bright sunlight by variable patterns of shading. All these features could be selected by the occupant to supply more than enough of the energy required to operate the entire household. Homes could be prefabricated of a new type of pre-stressed, reinforced concrete with a flexible ceramic external coating that would be relatively maintenance-free, fireproof, and impervious to the weather. Their thin shell construction can be mass-produced in a matter of hours. With this type of construction, there would be minimal damage from earthquakes and hurricanes. Modular skyscraper constructed from prefabricated extrusions. Maintaining a balance between the population and the earth’s carrying capacity, we may have to move our cities not only skyward and seaward but subterranean as well. The circular cities would act as universities for global resource management and environmental studies, and as testing grounds for each future phase of global development. These would be dynamic, continually evolving research institutes open to all of the society. Student performance would be based on competence accreditation, and research findings would be periodically applied directly to the social structure to benefit all members of the world society. People will live in these research cities and provide feedback on the reliability and serviceability of the various structures. This information would be used to formulate modifications to structures so that maximum efficiency, comfort, and safety is assured. These facilities are also used to develop modular construction systems and components that can be installed to serve a wide range of needs and preferences. In most instances, the external appearance of the buildings will reflect the function of the building.